We’re just a couple days into the Worldbuilders Fundraiser, and things are off to a smashing start. We’re on the cusp of $50,000, which is pretty amazing given that I’ve been traveling without good internet connectivity, and therefore haven’t been able to do much promotion. So let me say thank you all for helping out. Both in donating directly and in spreading the word. 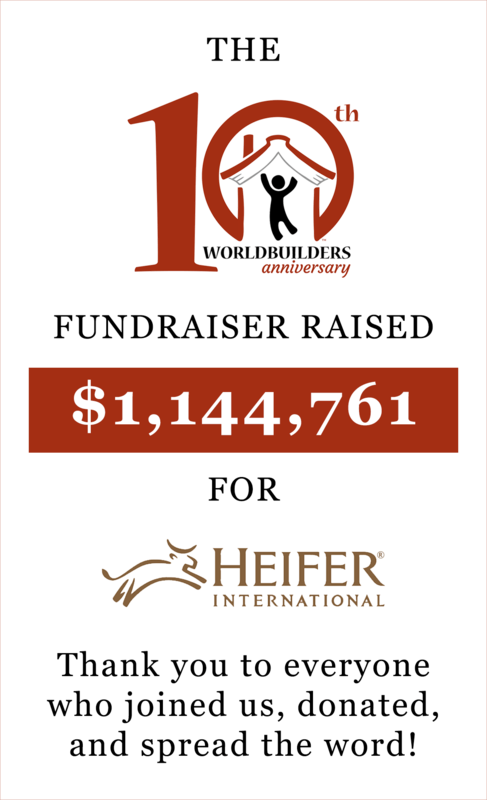 You see, $50,000 is enough for Heifer International to provide education and materials so that over 2500 families can get flocks of chickens. That might not seem like a big deal at first glance, it really is. 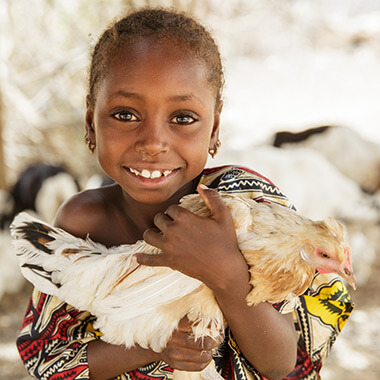 Chickens lay about 200 eggs a year, and they’re full of nutrients and protein that are vital to growing children. Those eggs can provide extra income for a family selling eggs. Or they can hatch the eggs and grow their flocks. Giving a flock of chickens to a family means they suddenly have control over their own food production, their own economic stability… over their futures as a whole. So. Yeah. Thanks to everyone who has donated and spread the word, we’ve changed 2,500 lives. Forever. And it’s only Wednesday. I’m thinking this is going to be a good year…. 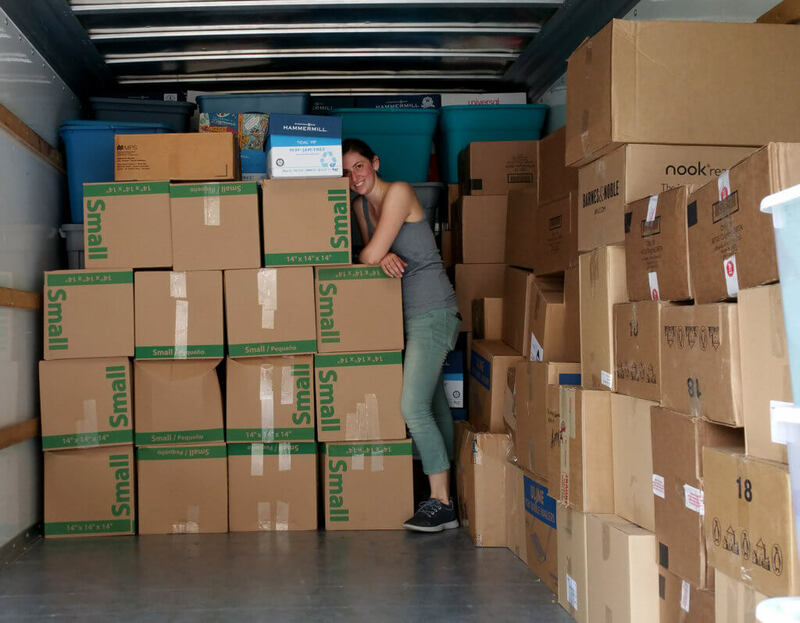 So today, we’re giving away a couple thousand books to people who donate to our yearly fundraiser. That by itself is nothing new. 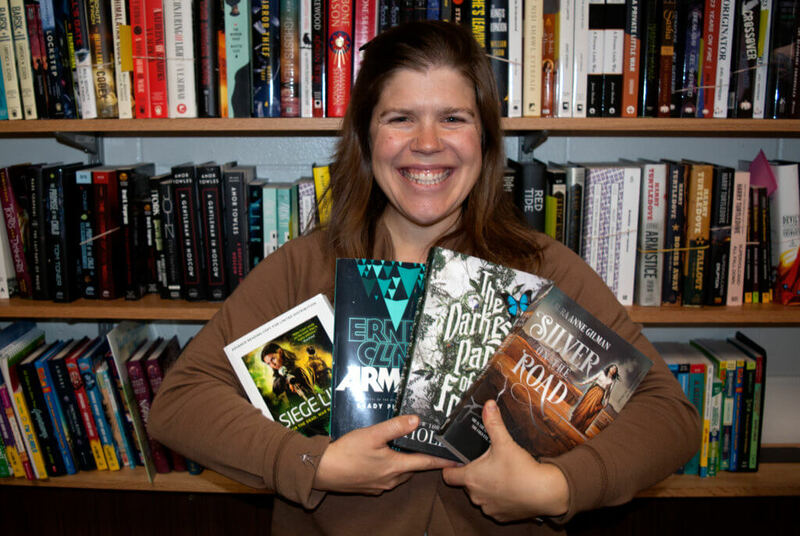 Every year we give away books donated by publishers and authors. But these books are a little different than anything we’ve dealt with before…. They did drive, I told him. Why did he want to know? “I’ve got a donation I’d like to make to Worldbuilders, but shipping would be… prohibitive,” he says to me. See, John has been a book reviewer and literary journalist for many, many years. Because of that, lots of folks send him copies of their books with the hope that he’ll take the time to read and review it. Publishers send him advance copies of upcoming books, first edition hardcovers, or re-releases, for the same reason. Those of you who read his blog or follow him on Twitter have probably seen evidence of this. He regularly posts a picture of the books that have arrived at his house, and it’s usually a fairly sizable stack. So imagine books like this getting sent to your house every week. For months and month. For years and years and years…. 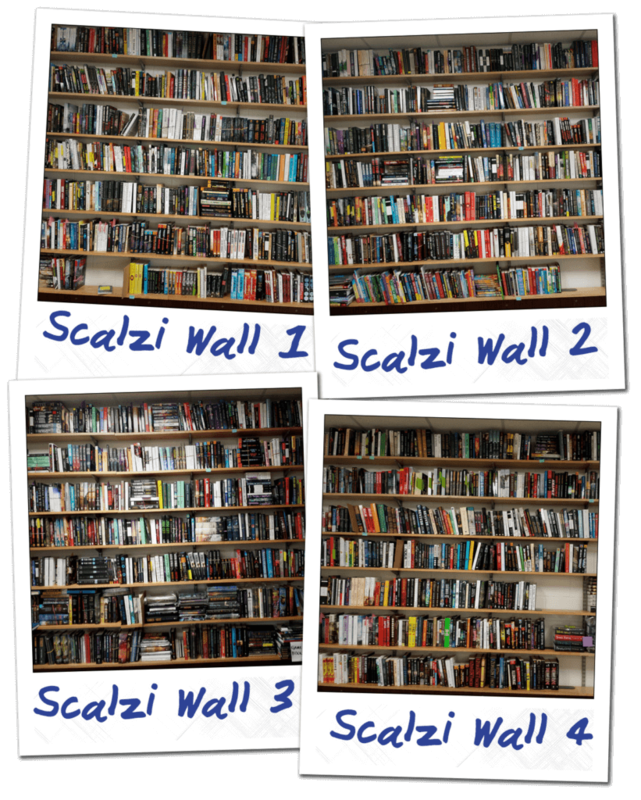 So this year when they went down to Gencon, Amanda and Brett drove a little further, down to Scalzi’s place. 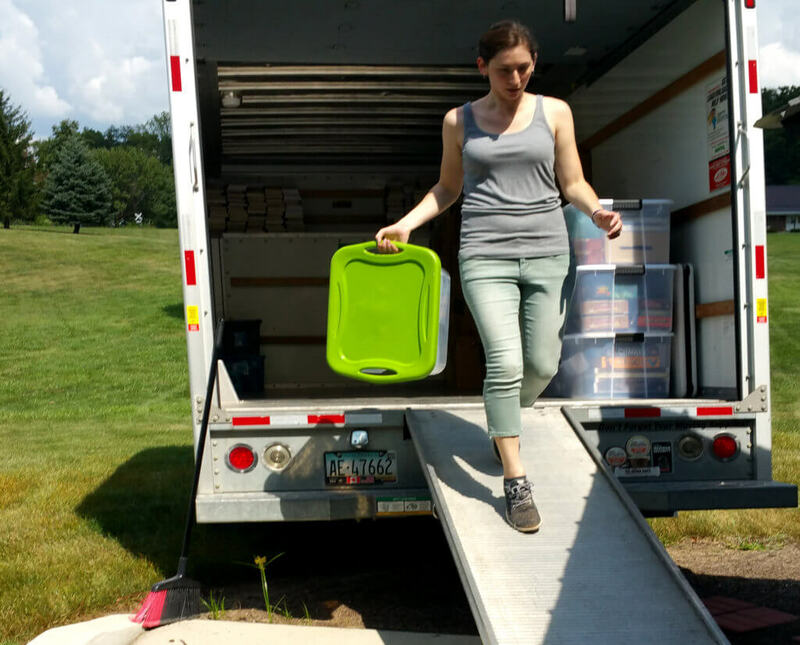 Once there, it took them more than two hours to load tote after tote, box after box, and crate after crate of books into the truck. 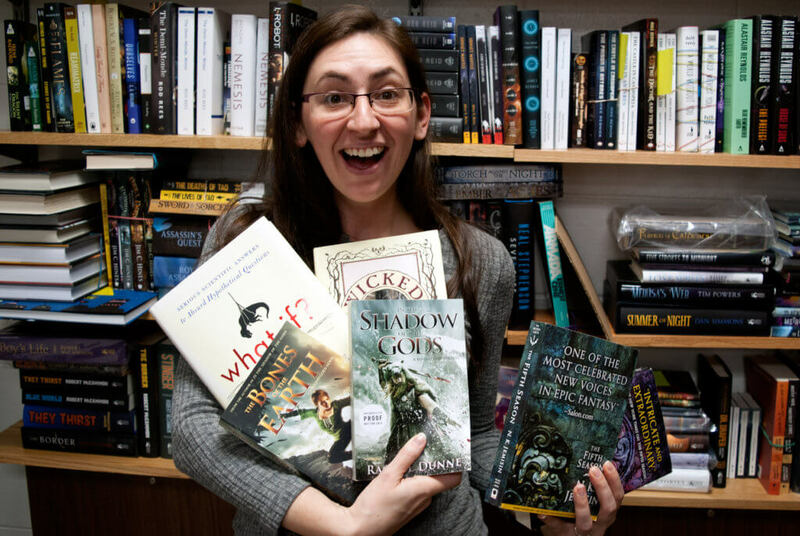 There were hardcovers, paperbacks, ARCs, and printed manuscripts. There were books that were being reprinted, and books that hadn’t been released yet. And this was AFTER John and his family had sifted through the books and kept many. But the fact of the matter is, John couldn’t possibly read every book that crosses his desk. He’d spend all his waking hours reading and reviewing books, with no time to spend with his family, or write his own books. And these books were taking over his house. Almost the entire basement had been taken over, blocking walkways and covering all available surfaces. But now those books are ours. Over 2,500 books are going into the lottery from John’s personal collection. 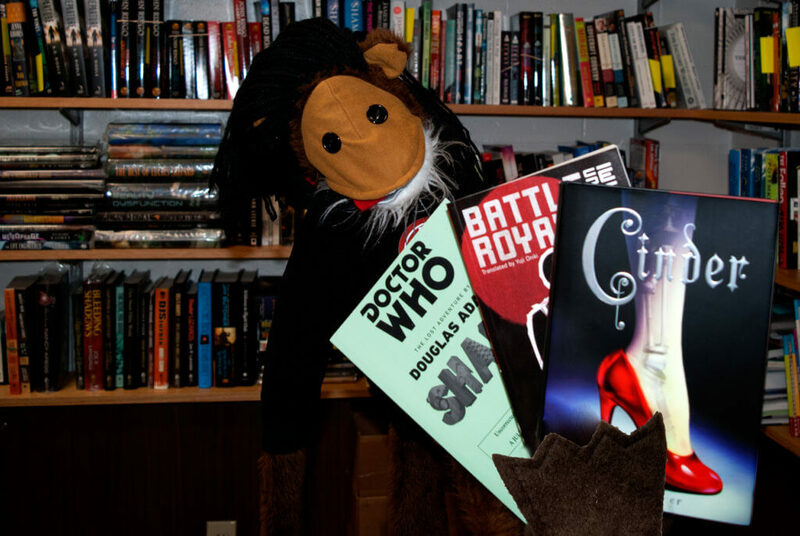 That means for every $10 you donate, you get a chance to win these books and all the other prizes we’re putting into the lottery over the next couple weeks. 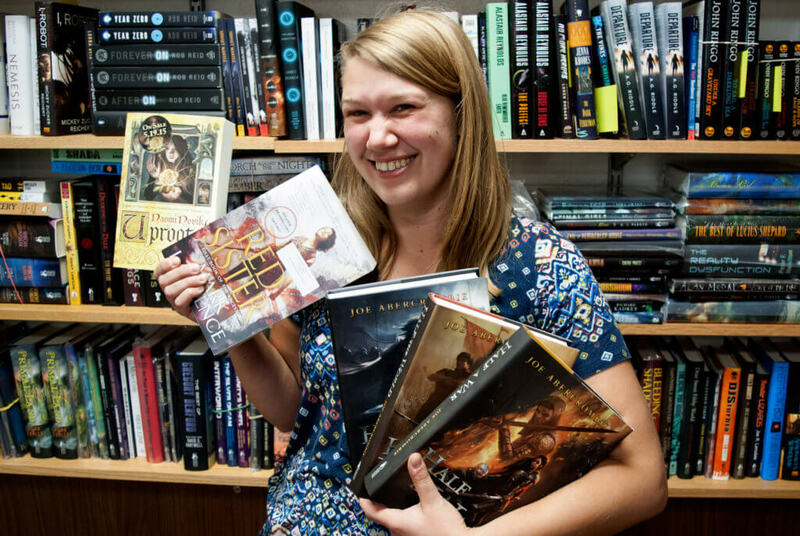 In addition to throwing those books individually into the fundraiser, the Worldbuilders Team has put together a sort of a ready-made library out of the books John donated. I’d like to say it was a carefully curated collection around a theme, but the truth is, it’s just the books that everyone saw and either loved, coveted, or both. Think of this as a little look into the Worldbuilders Crew’s collective soul. All told it’s a prize worth well over $1,000, and it’s in the lottery for anyone to win by donating. There was, however, one special thing we wanted to put up for auction…. Auction: ARC of The Fractured Girl. 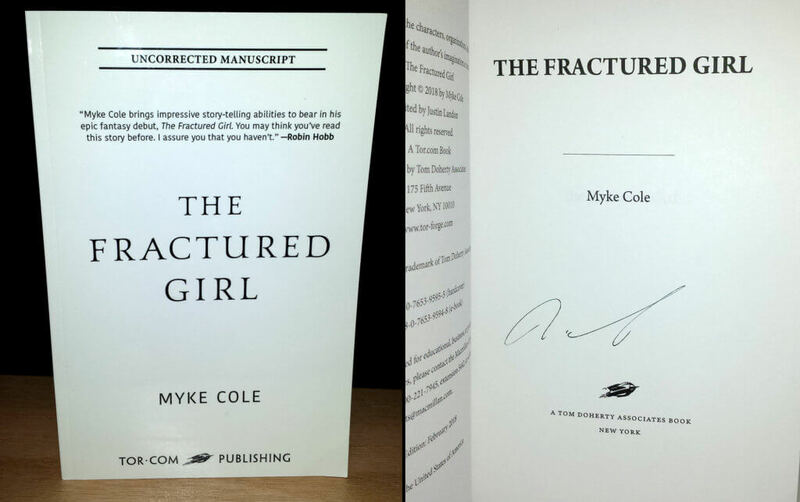 Signed by Myke Cole. To be released in February 2018 as The Armored Saint. We love Myke Cole. 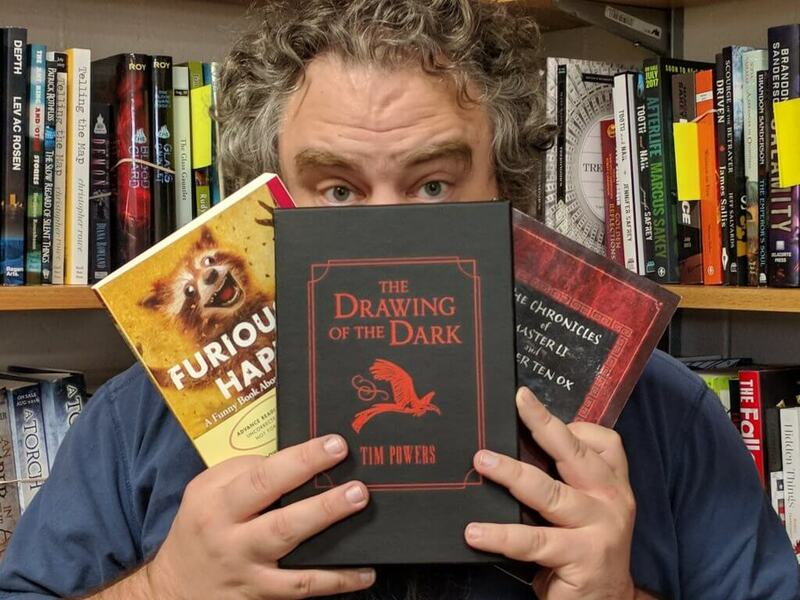 He recently coordinated with us to put up signed copies of his books in The Tinker’s Packs, and now you can get all of them while supporting Worldbuilders. So when we saw this early copy of Fractured Girl (not out until February, under the title The Armored Saint) we had to put it up for auction. It’s too cool, and we’d love to give someone the chance to read it early. You can bid on it over here. Thanks for starting the fundraiser off with a bang, folks. I’ll be bringing you more coolness soon…. Seriously though, thanks for everything … and make more trips to Canada!!! I donated. Anyone with a little extra should. Life is short and not everyone is doing as well as you may perceive. Hey Karissima! Shoot us an email at donations (at) worldbuilders.org and we’ll help figure out if your donation was processed or not.